Convenient, amenity rich south-facing one bedroom. Top unit with kitchen skylight. 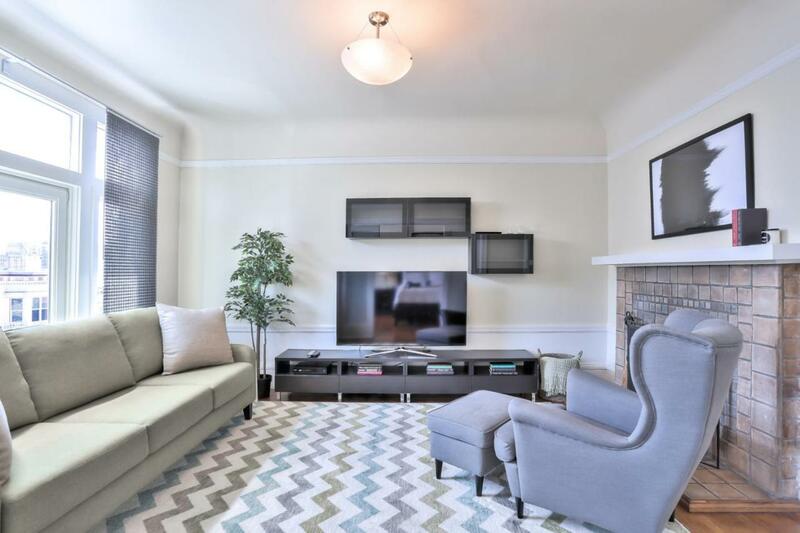 Cozy wood burning fireplace, oak hardwood floors; well-maintained & seismically upgraded. Efficient double pane windows & gas furnace. Bright, skylit kitchen w/ granite counters & breakfast bar, plentiful sleek white cabinets, stainless steel appliances. Spacious bedroom w/ large, lighted closet. Updated, tiled bathroom. In unit washer & dryer. Private storage. Shared landscaped rear yard/deck, fire pit & seating. Polk Street's famous restaurants/shops/cafes around corner. Whole foods, Trader Joe's, lafayette park. Short walk to Nob Hill. Iconic SF views from Huntington park & landmarks such as Grace Cathedral & Fairmont Hotel. Walker's Paradise w/ Walk Score of 100 & Transit Score of 99! Listing courtesy of Grant Villeneuve of Intero Real Estate Services.